Imagine the populations of Rockford, Springfield, Naperville, Aurora, Evanston, Schaumburg and Oak Park all in one place. Let’s make that place Cook County, Illinois. What if we told you that that number of people, roughly 800,000, is how many people go to sleep every night in this County not sure about what their next meal will be, or where it’ll come from. Fifteen percent of residents in Cook County are “food insecure”, according to the Greater Chicagoland Food Depository. They ought to know, because they distribute over 70 million pounds of food – almost a third of it fresh produce – to the food pantries and soup kitchens that try to address this gaping need. And if you can handle just one more statistic about our Cook County neighbors, 30% of the people we’re talking about live in the county’s suburbs. We took our show on the road this week to see just how massive this operation is. And to note that, huge and impressive as it is, it only fills a part of the need. The GCFD is trying a number of innovations, such as food pantries at Veterans’ hospitals, because, shockingly, a high number of Cook County’s hungry are people who served in our armed forces. They’re also installing pantries in about 30 Chicago Public schools where hunger is most acute. Parents can drop off their kids and pick up some wholseome food to help the family through the week. They’re also operating pantries at Cook County Health and Hospitals System buildings, where doctors ask about food insecurity as a part of their intake screening. “We’re meeting people where they are, which is a foundational piece of our work to connect communities,”Robinson tells us. And by the way, GCFD relies heavily on volunteers, thousands of whom come to their warehouse to help sort and ship tons of food items. “Often the folks who stand in the pantry lines will come in and volunteer,” she adds. The holidays are obviously tough times for families who can’t make ends meet, but Robinson says that for kids, the worst days are often in summer when there’s no school. For so many kids, school is where they have access to reliable nutrition, so the Food Depository and its partners setup community food centers and try to get the word out that kids can come in for a meal. 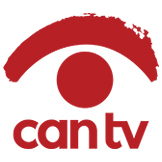 A word of thanks to everyone who’s watched our Little Show this year, and to the dedicated CAN TV staff who put it together for us every week of the year. We’re hoping the show is going to grow in some important ways in 2017, and we hope you’ll continue to check out the show when you can. 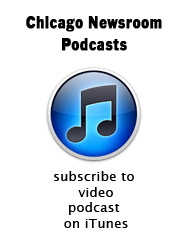 Chicago Newsroom is pretty good radio, too, and you can throw in the earbuds and listen to this show here on Soundcloud. This entry was posted in Chicago Newsroom past shows and tagged CCHHS, Cook County, CPS, food insecurity, food pantries, Google, Greater Chicago Food Depository, Nicole Robinson. Bookmark the permalink.